"Alexa, what can't you do?" The Amazon Echo is not only the first device of its kind but has become the most popular in its category due to its ease of use and its wide variety of capabilities. A skill on Echo is sort of like an app on your phone. Adding skills gives your Echo the ability to do things like talk to your smart home gadgets, order a pizza from Domino’s or Pizza Hut, play music from your favorite streaming service simply by using your voice, and many other things. Having skills enabled on your Echo will change how you use Alexa. However, not all skills are created equal. We’ve included on this list the default skills that come with Echo, as well as the best ones that we’ve found so far. With over 15,000 skills to choose from, the Echo devices can handle just about anything. • Weather - You can ask Alexa for the weather forecast, or when you listen to the Flash Briefing she will give you a weather update. 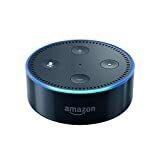 • Alarms & Timers - This is nice to use while cooking, “Alexa, set a timer for 10 minutes.” The Echo will flash its lights and make a binging noise. • Music - When you ask Alexa to play a song she will default to using Amazon Music, but you can change this by signing into one of the supported streaming services (you can sign in to Pandora, Amazon Music, Spotify, Sirius XM, iHeartRadio, tunein). 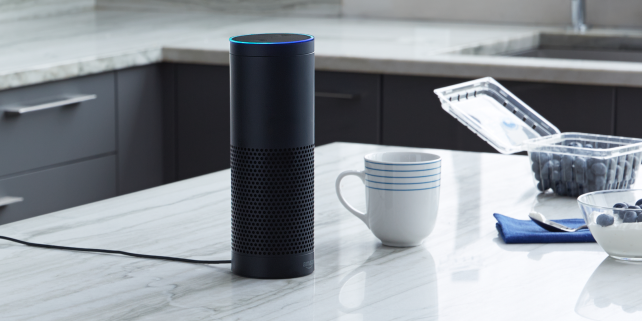 You can even use commands to ask Alexa to play a song, “Alexa, play some popular songs.” She will play some of the hits for you. • Lists (shopping & to-do’s) - This can be useful when you notice you are running out of a product or have something to do. Just tell Alexa, “Alexa, add applesauce to my grocery list,” or “Alexa, add reading a book to my to-do list.” These lists are found in the “Amazon Echo” app. • Make an order on Amazon.com - “Alexa, order me dog food.” Alexa will check your order history for dog food and if you have ordered in the past ask you if you want the same one. It’s fast and even confirms your payment information and shipping address. • Audiobooks - (listen to a free one each month or owned audible books). • Phone Calls & Texts (only to other Echo users) - You can use your Echo to call other Echo’s or even make phone calls to a phone with that has the “Amazon Echo” app. 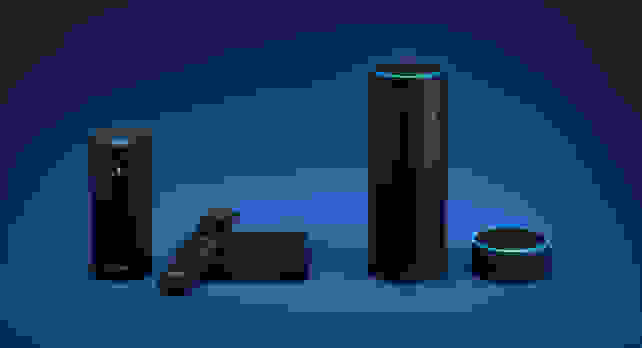 • Smart Home Skills - You can connect Echo-enabled smart home devices and control them through Alexa. • News Flash Briefing - Allows you to choose which news sources you want news from and will play their news podcast. Amazon defaults to using the Reuters News Flash Briefing and you can change this. The majority of these skills are great out of the box and are helpful once you start using them every day. To add a skill to your Echo, open the “Amazon Alexa” app on your phone and click on “Skills” from the hamburger menu. Here you’ll be able to enable skills for your Echo. Once enabled, use the skills by simply saying: “Alexa, open (skill name)” and for certain skills, Alexa will tell you options of what you can do with the skill. There are dozens of skills to help with your everyday life—including helping to improve your sleeping habits. • August Smart Home - With the August Lock you can lock and unlock your home from anywhere in the world. With this skill, you can check the status of your home (locked/unlocked), and lock your door. Simply ask, “Alexa, is the front door locked?” With the Amazon Show, you can even view the camera feed from the August Lock. • Philips Hue - “Alexa, turn on the living room lights.” These light bulbs are already smarter than your average light bulb, and Echo takes them to the next level. • Nest Thermostat - The Nest Thermostat is an intelligent thermostat that learns your temperature preferences. With the Alexa skill, you can change the temperature with your voice. Simply say, “Alexa, set the living room to 70 degrees,” or “Alexa, what’s the temperature in the basement?” This simple skill makes your smart home smarter. • Starbucks - You can easily have Alexa re-order your regular drink from Starbucks as you are heading out the door and have it ready when you arrive by saying “Alexa, tell Starbucks to start my order.” This can be a huge time-saver to skip the line. You can also ask Alexa to tell you your balance if you have purchased money to be on your account. 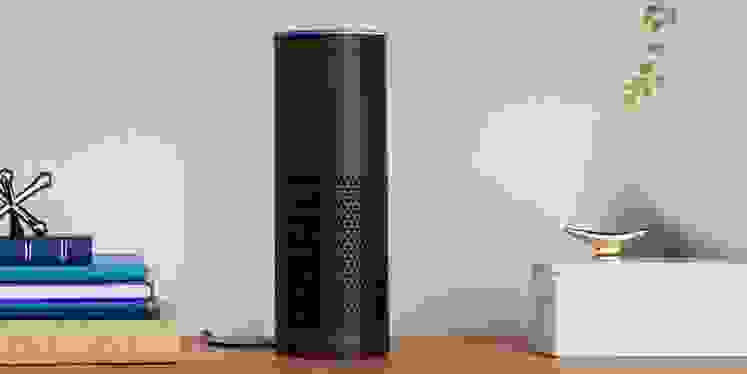 • Flash Briefing - “Alexa, give me my flash briefing.” Echo defaults to include Reuters news in your Flash Briefing. • ESPN Flash Briefing - Brings you the latest sports news with the hottest stories in sports and is updated throughout the day. 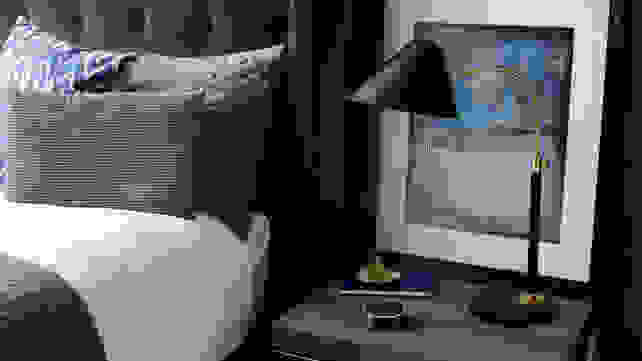 • Bloomberg First Word - Get the most recent news in business, politics, and world news. There are plenty of skills developed specifically for the whole family to enjoy, including games and bedtime stories. • Jeopardy! - We’ve all seen Jeopardy and tried to answer the clues. Now you can test your knowledge with new clues every weekday. • The Tonight Show Monologue - This skill allows you to start your day with a smile and a few laughs. This adds Jimmy Fallon’s monologue to your Flash Briefing. It’s nice to hear something positive right away in the morning. • Guitar Tuner - Have a jam session with your friends or sing with your family, this is an easy option to tune your guitar very easily. It’s as easy as asking Alexa, “Alexa, tell guitar tuner to play note E.” She will play you the note to help you tune your guitar. With plenty of recipes and skills for ordering takeout, the Echo is a great addition to the kitchen. • Betty Crocker - Cooking and realize you ran out of an ingredient? Betty Crocker lets you find a replacement for an ingredient by simply asking. It also lets you get conversions for measurements. • 7-Minute Workout - The name says it all, take 7 minutes to have Echo talk you through your workout. “Alexa, start 7-Minute Workout” will get you going. It’s a fun and easy way to make sure that you keep your goal of working out. • Fitbit - If you own a Fitbit this skill will tell you how you’re doing today, or how you slept last night (“Alexa, ask Fitbit how I slept last night.”). This is a nice way to know where you are at on your day without having to check your Fitbit or phone. Depending on your package of Mercedes, BMW, Hyundai, Genesis, or a Ford you can lock or start your car using Alexa. This can make a cold winter day or a blistering hot summer not seem nearly as bad. • Airport Security Line Wait Times - Wondering about if you should go to the airport 3 hours early or an hour early? Then here is your solution. With this skill, you can check the wait time so that you can arrive when it makes sense and not waste time. “Alexa, ask security line what is the wait time at SFO terminal 2?” She will give you a specific response. Let us know what skills you love to use on Echo!